In May and September of 2017, the Library wrote posts (read them here and here) about a number of publisher research data policies. Over the last year, publishers have engaged in conversations with institutions, funders, and not-for-profit organizations to examine how they can better shape and influence the sharing of research data. To accompany their data sharing policies and recommendations, publishers like Springer Nature and Elsevier recently developed their own research data services to better assist researchers who are preparing their data to be published alongside a manuscript. They now provide individual guidance (for a fee) and repositories in which to deposit and share data. Please talk to a consultant at UC Berkeley’s Research Data Management program about the guidance we can provide along with University of California supported data sharing options. When submitting to an Elsevier journal, be sure to check the individual journal’s Guide for Authors, which is located on the journal homepage. Elsevier does not maintain a master list of journals mapped to the five research data guidelines. Your subject librarian can provide guidance if you need more information about the data publishing policies from a specific Elsevier title. 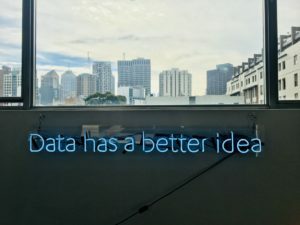 If you don’t know where you will submit your research, it’s best to prepare for the most rigorous data policy by adhering to a data management plan throughout the course of your work. Springer Nature’s data publishing policies follows the same, four tiered structure they developed in 2017; however, they’ve added more nuanced requirements within each tier for the life sciences and non life sciences. Check here to see the publisher’s list of journals and their assigned data publishing policy. Wiley applies one of three data sharing policies to their journals: encourages data sharing; expects data sharing; and mandates data sharing. The publisher has created an author compliance tool, which enables researchers who are submitting papers to one of the publisher’s journals to check what they need to do with their data to be in compliance with their funder, institution, and journal. For example, if your research is funded by the NIH, you work at a University of California institution, and would like to publish in Bioengineering and Translational Medicine, you’ll learn that the journal encourages you to share your data, the NIH requires you to share your data, and the university does not have a policy. In cases like this, you need to default to the entity that requires the most sharing. In this case, you would share your data as stipulated by the NIH. Wiley’s author compliance tool points out the gaps in policy that exist for researchers, especially in the United States. Data sharing policies differ widely between institutions, publishers, and funders which leads to confusion for the researcher. In general, when planning research and communicating your results, take the Open Science approach, which advocates for showing your work and sharing your work in the name of advancing science. By thoroughly documenting your data and research process, others are better able to understand your work and potentially utilize the data for another research purpose. The Open Science approach supports transparency and reuse, which results in better science and more rapid advances. If you would like more information about preparing your data to be shared with others, please contact the Research Data Management Program. (JSTOR)— 400 titles published by El Colegio de México are now Open Access!